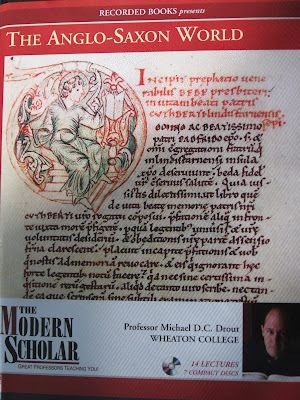 My ninth course for Recorded Books, The Anglo-Saxon World, is now available. I'm really happy with the way it came out: as always, the Recorded Books people did an amazing job with the design and production. It can be tricky teaching in your direct specialty. My student evaluations in Anglo-Saxon used to be consistently a little lower than in my English 101 or Chaucer courses, and this was incredibly frustrating. Anglo-Saxon is, after all, my baby. 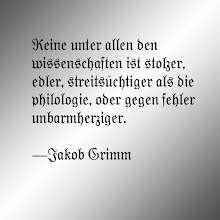 But looking back over those early evaluations, I saw that I sometimes lost The Big Picture because I was so invested in certain technical questions. I now make a special effort to make sure that even as I dive into fun, technical arguments, I keep them connected to the major points of the course. I think this worked in The Anglo-Saxon World, where I have a full lecture devoted to Anglo-Saxon from the Conquest to the Renaissance and another that goes from Thomas Jefferson to Angelina Jolie. I also used more archeology in this course that I have done in the past, in part because recent work by John Hines, John Blair and Christina Lee showed me how to integrate archeological findings with other kinds of material. The course also has a website, The Anglo-Saxon World, which right now just includes the full translations of some of the poems I discuss--some of these were too long to fit in the course book. Recorded Books also has a blog now. If you want more Anglo-Saxon (and who doesn't, really?) 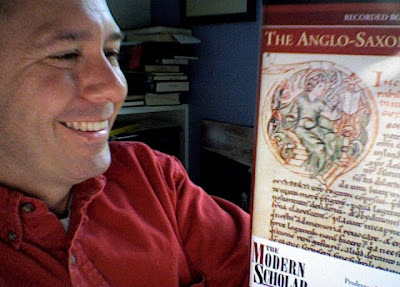 you can go to Angl0-Saxon Aloud, where I've posted recordings of the entire Anglo-Saxon Poetic Records and am finishing up the homilies of Wulfstan, and, as always, I have for sale Beowulf Aloud and Anglo-Saxon Aloud: Greatest Hits. "Last": Thor (I think that would be Oct 19, because Minotaur would have to be Oct 12, but I may have lost track). I got the first copy in at my library! It was wonderful. Had some great discussions because of it. I have already recommended it to friends and patrons. It was more engaging than your other lectures, it was obvious that this is your first love.